P20B: Glenda Brake Qualifies for the FSA Hall of Fame!! Zephyrhillls Players Shine!! Glenda Brake Earns her 200th Point!!! Katy Walker and Pauline Murphy. 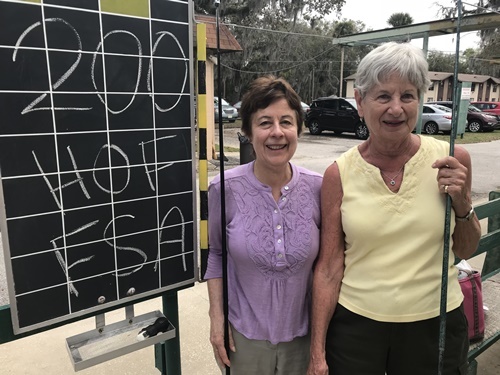 The Florida Shuffleboard association got a good dose of Zhills shuffle power on Tuesday, February 13th at Leesburg and Golf Lakes in Bradenton. 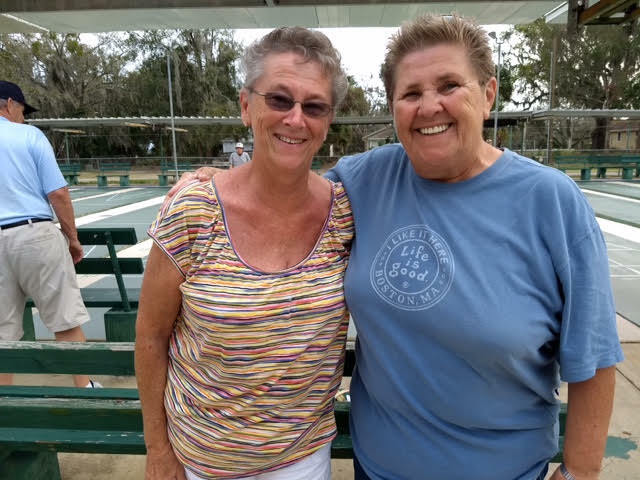 Glenda Brake, ZSC, qualified for the State Hall of Fame with the same partner, Diane Bardsley, ZSC, that she qualified for the District Hall of Fame two weeks ago. They won the Women’s Division Championship. Katy Walker and Pauline Murphy, (Pic above) both of ZSC, finished 2nd and Judy Ledger, Betmar playing with Lorriane Merrifield also placed. Lorriane scored the last point she needed to qualify as a State Am. 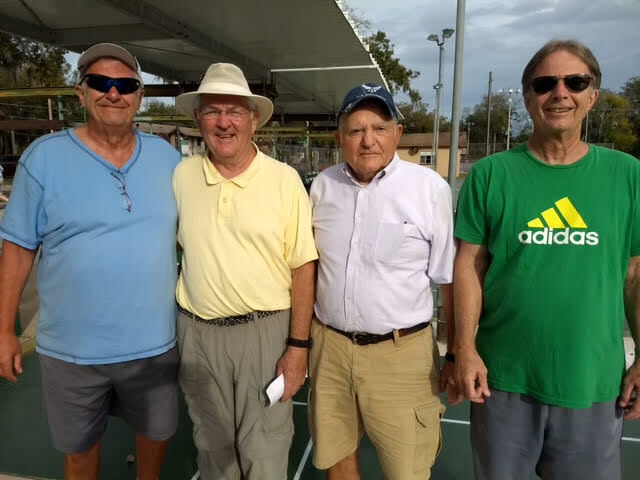 David Earle ZSC, playing with Paul Prescott of Lakeland won the Men’s Division with John Houghtaling, ZSC and Gary McGaffey, ZSC, finishing 2nd. Lyle Walker, ZSC, playing with Leesburg partner Jeff Luneau also placed. 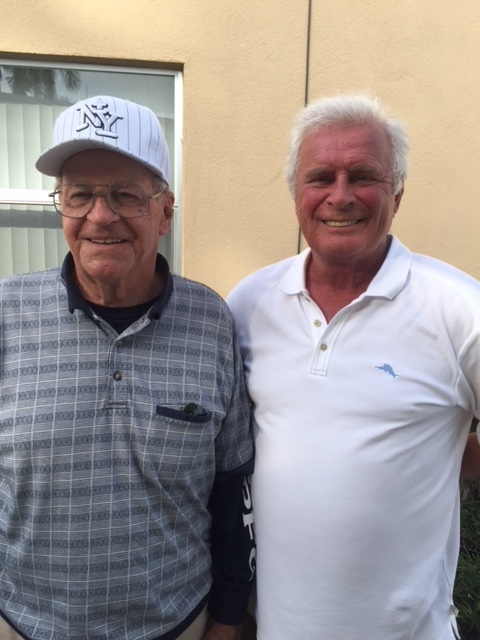 Earl Ball, who lost his partner, traveled to Bradenton to play the Golf Lakes State Championship with one of the old guys, Dave Minnich of Bradenton. Dave is a consummate Pro who happens to be 80 years old and therefore qualifies as an old guy. They won the Championship.